I appeared here, nestled in my watershed, 8000 years ago as an immense glacier was melting. In these ancient times, caribou and lake trout found their way to me. People followed and lived sustainably along my shore over millennia. I’m a Canadian Shield lake: one of thousands in Canada. Lakes are part of an intricate life support system that cannot be replaced. Freshwater ecosystems – lakes, wetlands, streams and rivers – provide drinkable water, mitigate floods and support fisheries, forests and biodiversity. Lakes across Canada – prairie lakes, arctic lakes, mountain lakes, southern lakes and boreal lakes (like me!) – now share a common plight. We’re suffering from human activities: mining, forestry, hydroelectric dams, agriculture, shoreline modification, over-fishing and sewage dumping. Lake ecosystems are altered because human lifestyles have dire consequences: climate change, nutrient pollution, toxic waste, habitat loss, invasive species and microplastic pollution. A LakePulse field team visited me this summer. They sampled my water, algae, bottom sediments, and an array of advanced health indicators. By examining lakes across Canada, LakePulse is creating the first national assessment of lake health. This is urgently needed: the better we understand a problem, the better we can address it. But, many of the problems threatening lakes are already known… Clearly, science alone is NOT enough to protect me. The nature of science is to provide predictions and probable outcomes, and there is always some uncertainty. This can be seen as a convenient reason to defer action instead of making politically unpleasant decisions. By stalling, necessary adjustments and scientific recommendations have been ignored. Canadian lakes – and the rivers and groundwater that feed us – continue to be polluted and damaged. In Canada, there is no federal protection for 99% of all lakes and rivers! In addition, Schedule 2 allows the dumping of mining waste into pristine lakes and rivers across Canada! Water-related decisions and policies are often guided by economic considerations. Natural resources – like lakes – aren’t free. We’re tremendously valuable, but we don’t wear price tags! Economic perspectives often ignore the immense and diverse value of lakes: the full environmental costs (and risks) of projects are seldom calculated if nature is “economically invisible”. For Canadians, this means lakes are undervalued and often irreparably harmed. 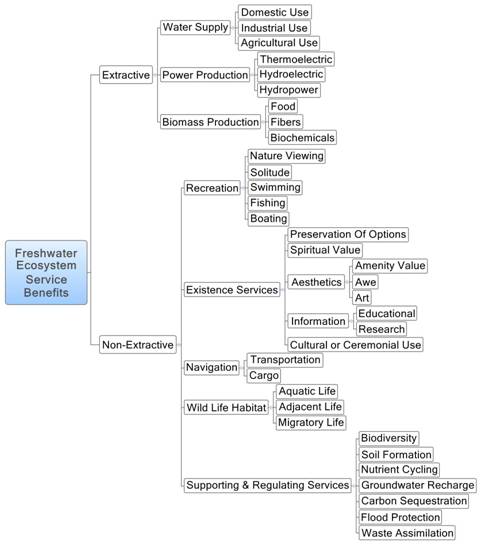 Lakes are more than “natural public goods” that provide “ecosystem services”. Lakes are part of your history, culture and survival system. In turn, lakes depend on the public to be our protectors. Awareness of this relationship must be shared. Lakes need many guardians who work together. The key to saving lakes is the pressure of public opinion. The public has the power to focus attention on what must be done TODAY to protect lakes. Better mechanisms are needed to keep lakes healthy and resilient: stronger local governance, better legislation and management to enforce it. Common sense calls for precautionary approaches: taking preventive action; not treating lakes like dumps or fracking sites; shifting the burden of proof to those who pollute; and including the public in decision making. Raise your voice for healthy lakes! LakePulse aims to improve freshwater management by providing innovative tools and new data to monitor lake health – for individuals, municipalities, lake associations, lake managers, governments, policymakers, decision-makers and others. Learn how to share your lake data with LakePulse!